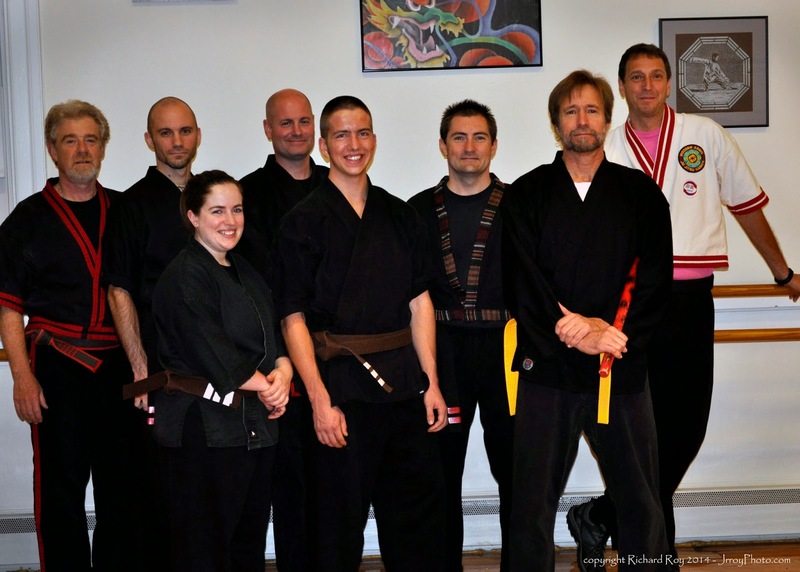 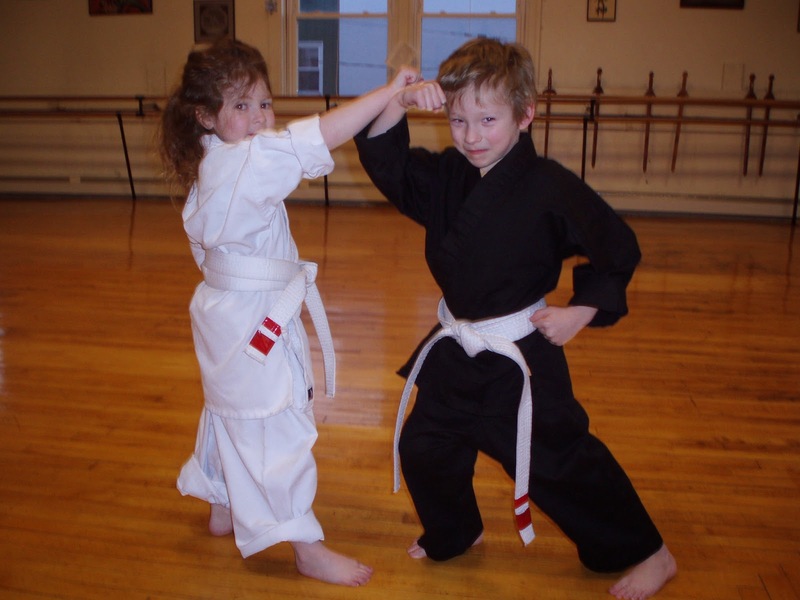 Modern Arnis rank promotions – Colleen and Jack to Brown III and Rob to Yellow belt! 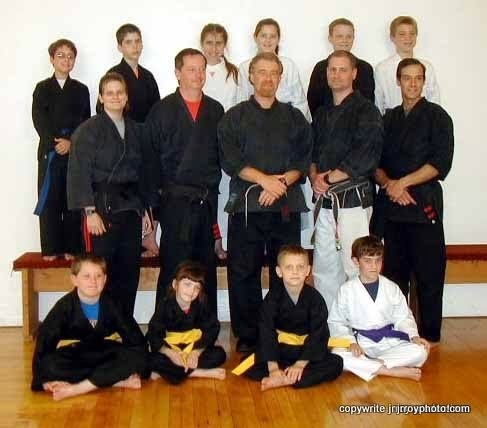 Congrats to all!! 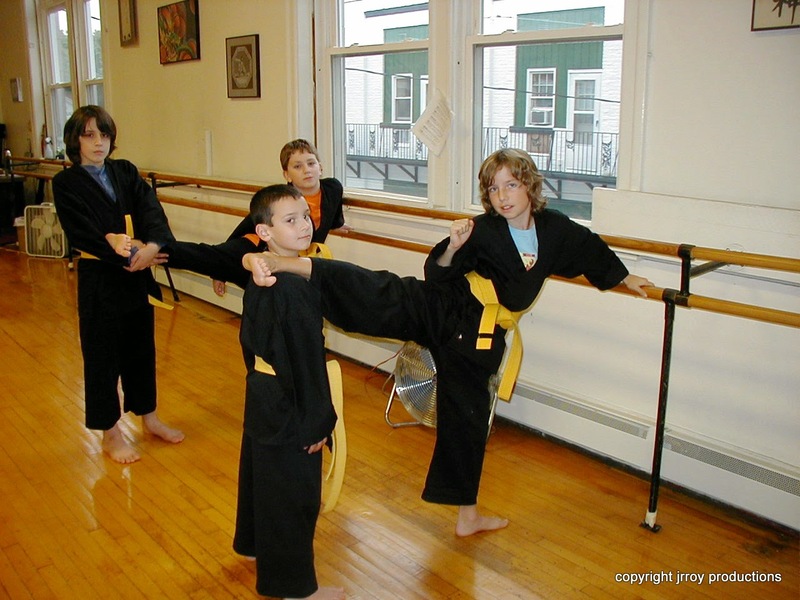 Jack and Simon stretching out their side kick, assisted by Peter and Andrew…..A few years ago!